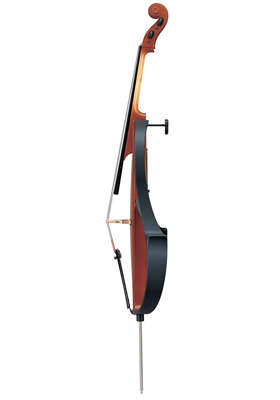 Yamaha designers worked together with some of the world's greatest cellists to create the SVC-110 and SVC-210. The talent of these artists is reflected in their beautiful warm tone and comfortable playability. Yamaha designers worked together with some of the world's greatest cellists to create the SVC-110 and SVC-210. The talent of these artists is reflected in their beautiful warm tone and comfortable playability. The SVC-110 plays and sounds so similar to a fine acoustic cello, that players will find it surprisingly expressive and comfortable to use. They will also appreciate being able to practice whenever, and wherever they want thanks to the "silent" function. The SVC-210 and the SVC-50 were created for easier portability, and feature slim designs with folding (SVC-210) or removable (SVC-50) leg supports. Despite their convenience, both instruments offer rich, beautiful characteristic cello tone and are capable of great expression. "These instruments have incredible potential. 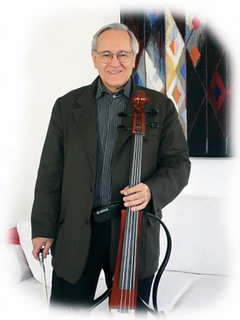 Although first developed for use as a practice instrument, they have opened a new door of possibilities for the cello by the use of electronic technology. And the SVC-110 has gone a step further by adding more power and depth to the sound. I enjoy performing with this musical instrument and am challenging musical audiences worldwide to open their minds to a future of new sounds from the cello." The SVC-110 features a newly designed resonating chamber, producing warm, full-bodied tone with natural characteristics and nuances found in any acoustic cello. The Silent Cello is equipped with Aux-In, Line Out and Headphone Jacks. Connect a CD player, MD player or cassette deck to the input jack to play along with your favorite recordings. This is an extremely useful feature when practicing. With the output jack connected to a P.A., or external audio system, you can perform live, or use the internal reverb to hear yourself in different virtual performance environments. Three onboard reverb presets simulate the acoustics of a practice room, recital hall, or cathedral. Feels, plays, and sounds like a traditional cello, making transition to and from an acoustic cello intuitively natural. Lightweight and very easy to transport.